Wild blueberry scones, lovely way to start your day. I grew up on homemade bread. So needless to say I love bread; maybe not only love bread I adore bread. I could never be one of those people that go on a low carb diet… no way!!! My mom baked bread every other week when I was a kid. She would make 14 to 17 loaves of bread each time. Imagine the size of the bread pan she had to have to make that much bread. It was big, believe me! She always amazed me, she never used a recipe and her only measuring utensil was her hands. It was a whole day’s process. I still remember the aroma of that bread baking in the oven; how good it smelled. Especially when we would be coming home from school and she would be just taking it out of the oven. The first thing she would do was cut each one of us a thick slice of bread and top it off with some sweet butter. Yum, it still makes my mouth water. When I was about 16 my mom had to have surgery on her hands, so she was not able to bake bread for some time. So she decided that my sister and I would be the ones to make the bread. We each made about half the batch that she usually made. There she sat at the kitchen table giving us instructions on what to do next. I have to say if I remember correctly that bread turned out quite well. So there began my love of bread making. And as the saying goes the rest is history. These days I like to make all kinds of yeast bread and quick bread. 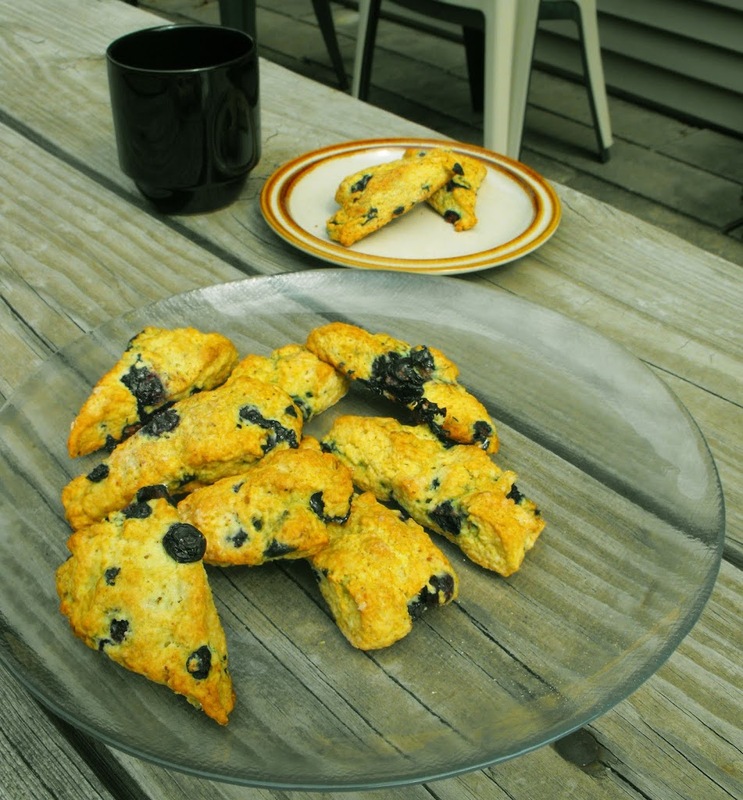 I found this recipe Wild Blueberry Scones in a great cookbook called Recipe for a Country Inn by Donna Leahy. 1. Preheat the oven to 350 degrees F. Lightly grease a baking sheet with solid shortening. 2. Combine the flour, granulated sugar, baking powder, baking soda, and salt in a food processor. Add the butter in bits and process until crumbly. Turn the mixture into a large bowl, and stir in the buttermilk until just combined. 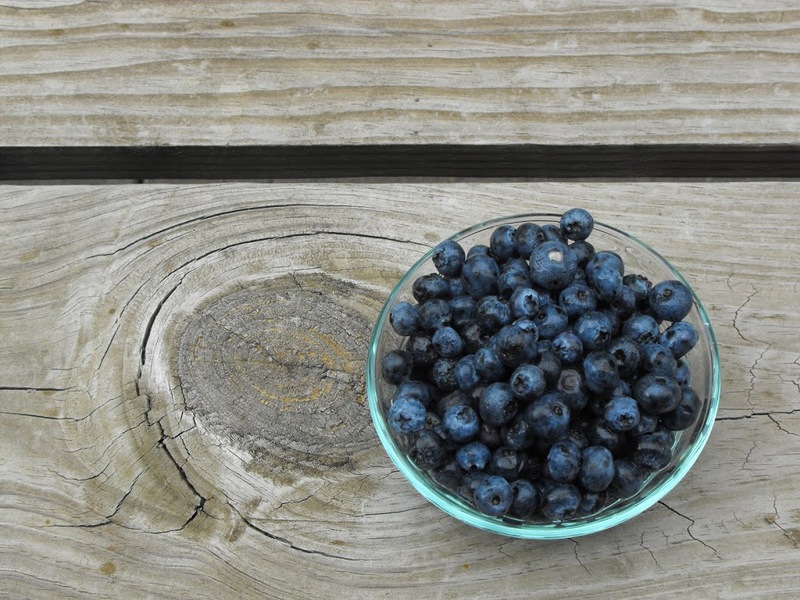 Turn the dough onto a lightly floured work surface and fold in the frozen blueberries by hand. Divide the dough in half and form each half into a ball. Press the balls out to form 8-inch circles. Cut each circle into twelve wedges. Brush the tops with a little heavy cream, and sprinkle with sanding sugar. Place them on the prepared baking sheet and bake for 20 to 25 minutes, until golden. Cool slightly on wire racks. Note: Using frozen blueberries prevent the berries from “bleeding” and turning the dough blue. I did not use frozen blueberries, I used fresh and was just careful folding the blueberries in; this worked just fine. I love scones! These look delicious. Nothing compares to the smells of homemade bread baking! Your scones look delectable!